LJ Vogel led the discussion at the Thursday roundtable. 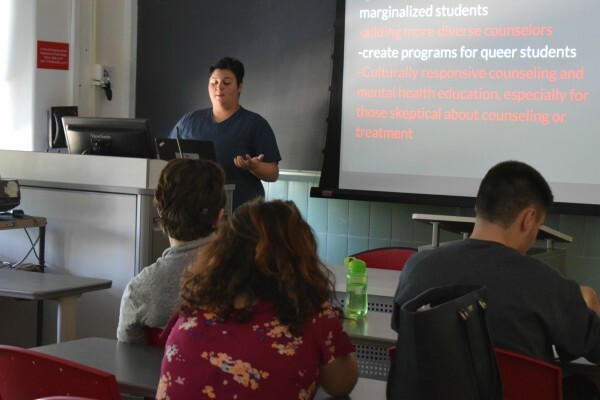 A student roundtable discussed the state of mental health care on campus at an event Thursday, Sept. 28 that was advertised as being hosted by Social Justice Exchange (SJE) with the NAACP, the Student Psychological Association and Active Minds. 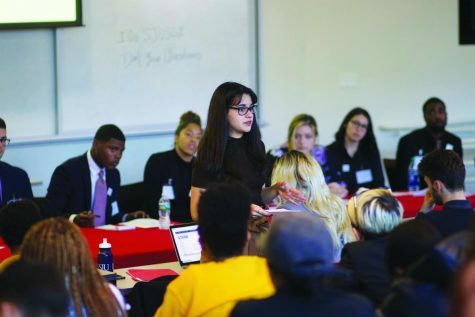 LJ Vogel, president of Social Justice Exchange, highlighted that “this event was created to address the lack of resources on and off campus for marginalized and minority students, cultural differences in mental healthcare and education, the lack of proper mental health education on campus and possibly implementing a ‘Buddy Project.’” They also noted that this rounded out SJE’s mental health awareness month. 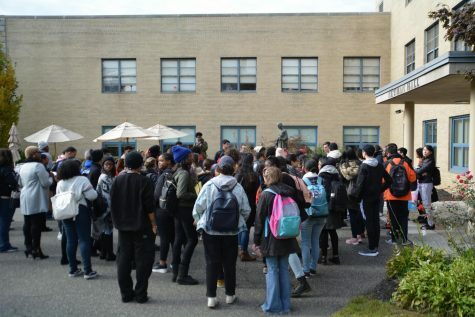 It was a small turnout, and no representatives from the NAACP were present; however an alumnus, Steve Alexander, who graduated in 2012 and continued on to study Psychological Counseling at Columbia, attended and provided a professional point of view. Many ideas arose from the intimate roundtable. Vogel suggested sending home materials to parents as to lessen the “shame” many marginalized identity students often feel, and to provide a buddy system where peer intervention might be a good thing and take away that power dynamic between counselors and students. This resonated with freshman Journalism major, Garrett Downs. He said, “I didn’t want to feel crazy,” in relation to the stigma behind seeking mental healthcare. 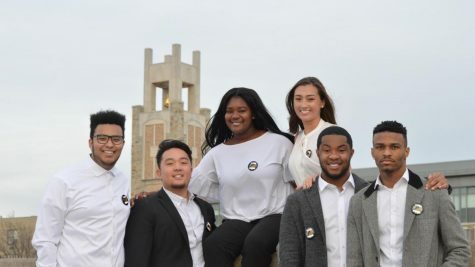 In terms of providing the point-of-view of people within St. John’s mental health care, two graduate assistants from Student Wellness came to give their own personal opinions on the state of St. John’s care. Vogel said that SJE “100 percent” wants to do more roundtables, so students and faculty can look out for them in the future.